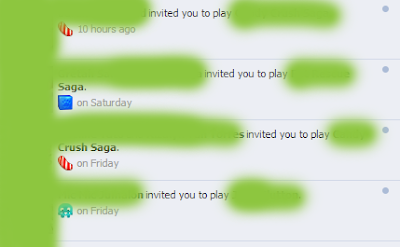 Honestly, I would like to say this: I really don't like receiving game requests notifications! Of course, most of the Facebook users frustrated to receive it. Unless you also played with these games. Almost, all game requests of mine have been stopped. The option i thought it is better is just turn it off rather than complaining to the source friend. Well, this is a nicer way not of confronting a friend. Would you like to turn it off instead? Suppose you don't like to receive game request you can simply turn it off. 1. If you receive game request notification, click it. 2. Then at the left side of it, it will show delete/turn off button when hovering it. All notifications from a certain game app will not send you notifications. With these simple steps, i hope you find it simple. I know most of you knows how turn off game request notifications.